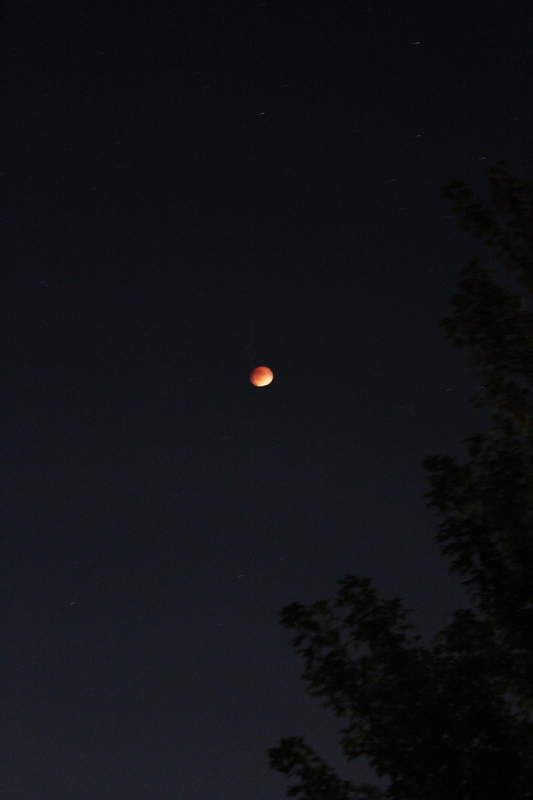 I bet most of you caught a glimpse of the Super/Blood Moon last night, right? I was able to capture a couple of okay shots on my Canon camera, but things like breathing got in the way of a perfectly clear photo. After many failed attempts, I decided to simply enjoy the view with my own eyes. What a sight! Still, a tripod might have to go on my wish list for Christmas. 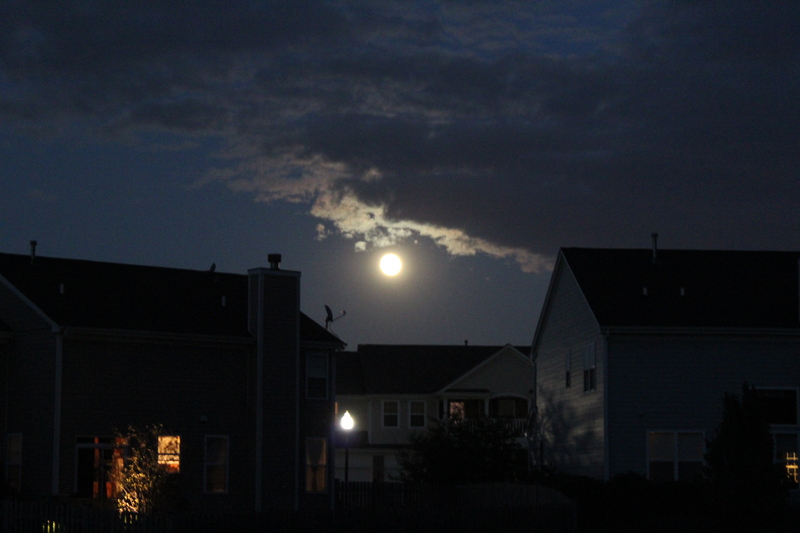 Here’s a view of the Super Moon as it began to rise at around 7:00. I raced inside to grab the girls shoes and we walked down the street to get a less obstructed view. 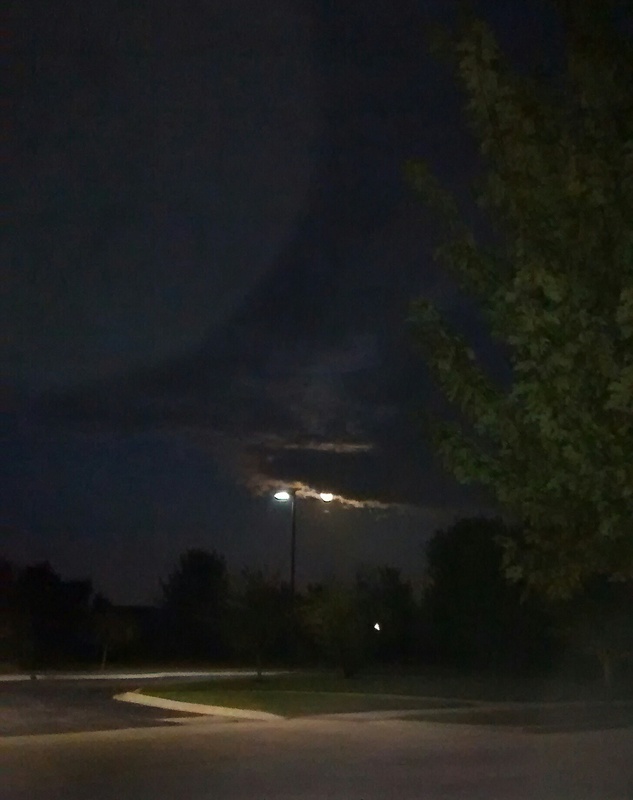 I was about to take the picture, when the clouds began to float in. Nooooooo! Pretty pics! We kept running to check every 5 minutes waiting for the clouds to clear. So cool once they were gone!